Working Temperature Range: -20? to 50? 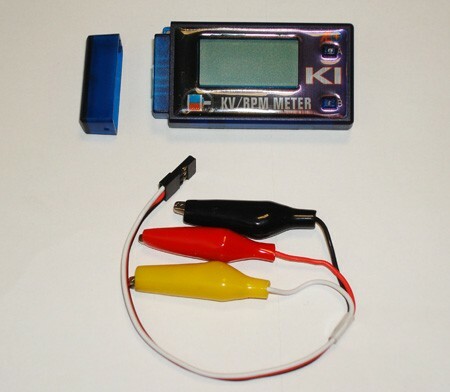 1, Measure the rpm and kv for brushless motors at no-load or loaded, and display the voltage for the battery at the same time. 2, Using one of the additional accessories (Hall Rate Sensor Module), the rpm and kv of brushed motors can also be measured. , Electromotive force applied. More exact, easier to use, ultra portable and multifunctional. , The Hall Rate Sensor Module. It allows measurement of rpm to be made on mechanically rotated devices.
. High performance CMOS chip. KV displayed instantly. , Easy to use. just need to clip one of the three motor wires for measuring, no additional power supply required.
. RPM and kv can be also measured and displayed when motors running at 1S 3.7V lipo, or even less.